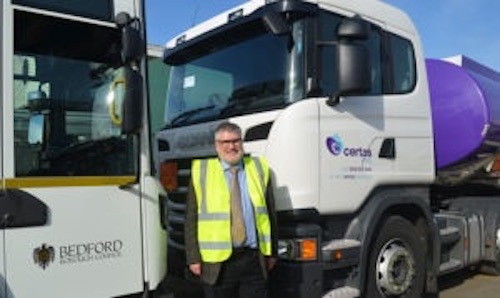 Bedford Borough Council in England is starting a six-month trial of gas-to-liquid fuel to assess how its waste truck fleet could benefit from the sustainable energy option. Supplied in the UK by Certas Energy, Shell GTL fuel is put into the vehicle via a conventional pump, and requires no engine modifications. Certas says the odourless fuel can cut NOx emissions and particulate matter by up to 37% and 90% respectively, and could also reduce noise levels in some types of engine. Councillor Dave Hodgson, Mayor of Bedford Borough Council, said: “The council is committed to working in a greener way. We have led the way locally, reducing carbon emissions from our estate by more than half in recent years.